Despite advancing years, I continue to run competitively, mainly focusing on marathons and half marathons. I train regularly with the Oxford University Cross-Country and Athletics Clubs. In 2014, I captained the university marathon team in the Oxford-Cambridge Varsity race, and was the first Oxford finisher in 2015, 2016, and 2017. I also came second in the Oxfordshire County Marathon Championships in 2016. My running profile can be found at Powerof10. I also have a JustGiving page and recently ran the London Marathon to raise funds for Asylum Welcome. 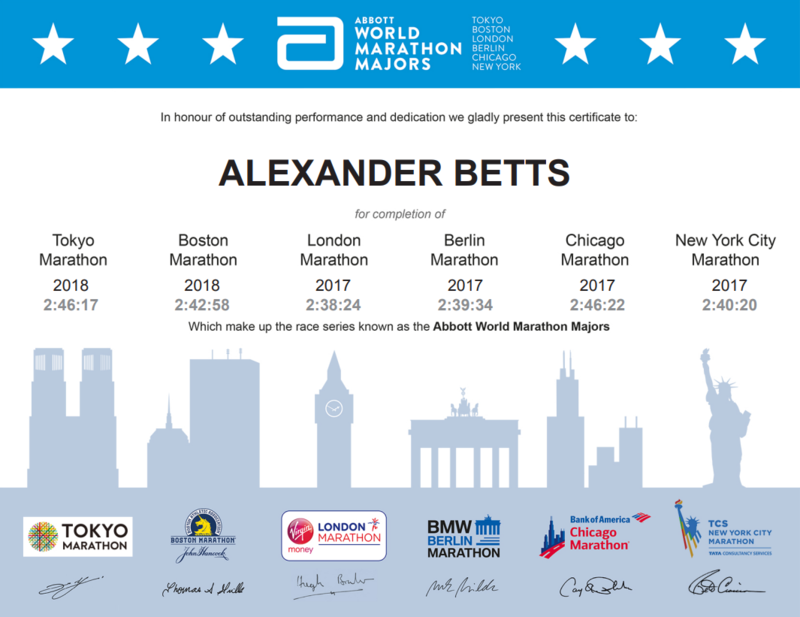 I completed all six Abbott World Marathon Majors during single one-year series ("series XI").